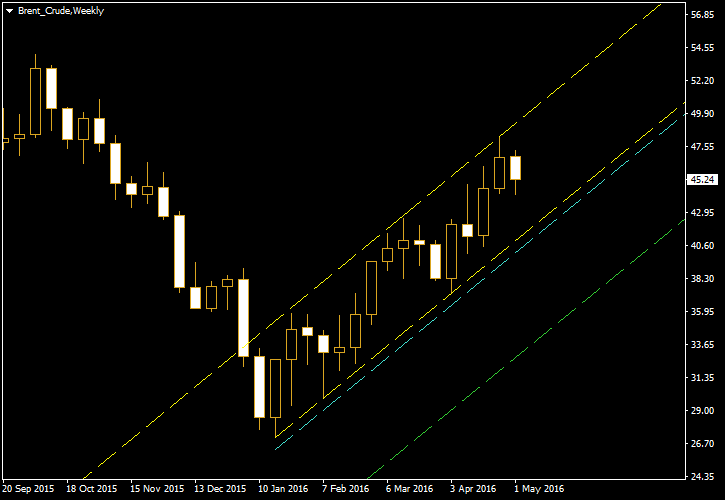 Crude oil has been in the bullish mode for a while now, and as a result Brent crude has entered an uptrend channel. Yet concerns about oversupply and the slim chances of production cuts mean that a reversal of the trend is possible. The present chart offers price targets for those traders who are willing to place bearish bets. The yellow lines indicate the ascending channel. The cyan and green lines create a mirror image of the channel with the exact same Big Bounce House width to the downside. 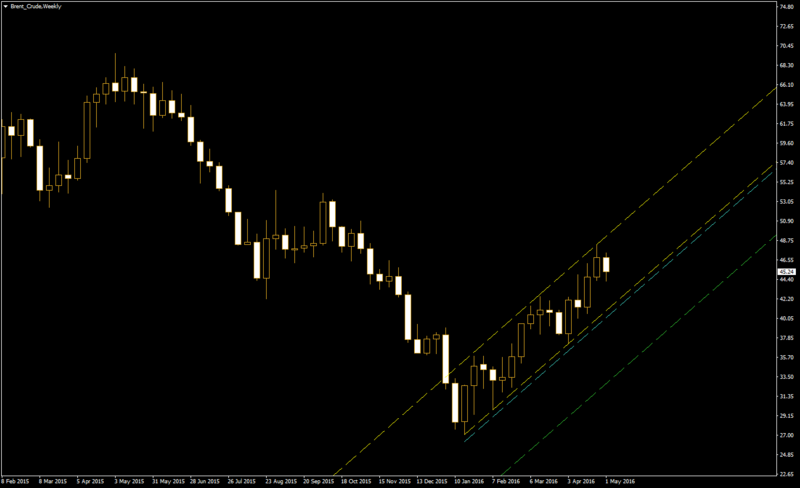 The cyan line moved below the lower yellow line by 10% of the channel’s width and offers an entry point for bears. The green line suggests the profit-taking target if a downside breakout indeed occurs. If you have any questions or comments regarding this chart pattern for Brent oil, please feel free to reply below.